Great turnout to our 2015 Bonspiell. Thanks to all the teams and friends for helping out! We had 8 teams take the ice in Stroud and it was The Rockers (Paul, Dave, Todd and Sierra) that took home the trophy. Congrats! Special mention goes to past champs GIS Rocks for second place. Categories: Friends | Tags: bonspeil, curling, FOMW | Permalink. Do you love nature? Enjoy Curling? 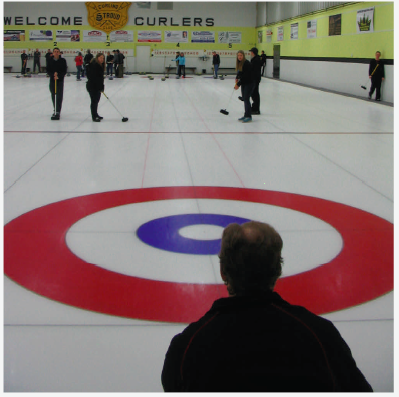 Get together a team of 4 ($100) or individual $25 and enjoy a fun night of curling, food and cash bar. All proceeds going to help preserve the Minesing Wetlands through our not‐for‐profit group efforts. this very important ecological area. Categories: Friends | Tags: AGM, bonspeil, curling, FOMW, funspeil, Stroud | Permalink.